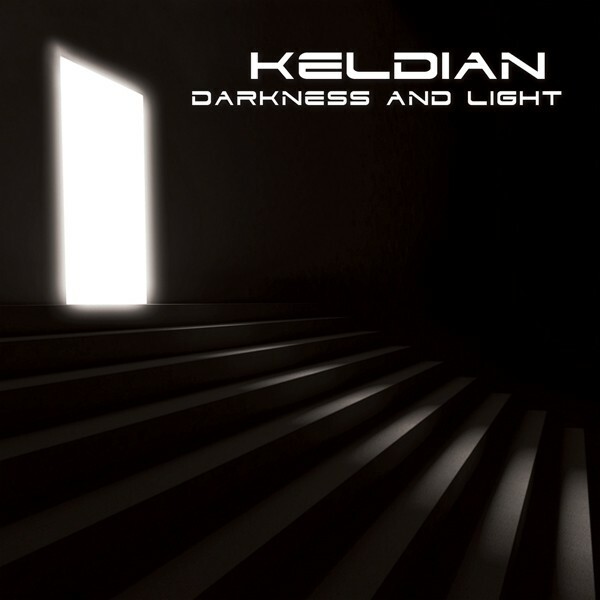 Keldian are a Symphonic Metal band from Norway with 'Darkness And Light' being their fourth album and their first since 2013. Tight, well-crafted and, mostly, economical, it certainly sounds the work of a band with a bit of experience under their belt. Essentially a "studio project", Keldian features the talents of Christer Andresen (guitars, bass and lead vocals) and Arild Aardalen (synthesizers and vocals) who write and produce the material, while drums are provided by band friend Jørn Holen (Vreid/Windir). The band have apparently built their reputation as a "Sci-Fi Metal" band, due to lyrics dealing with such matters as space exploration, spiritual journeys and "humankind's destiny among the stars". What struck me most, however, was the relatively down to earth and unpretentious nature of the work, exemplified by core riffs that have an almost NWOBHM-feel, and a slick, minimalist album cover that avoids fantasy and Science-Fiction cliché. Musically, most of what is here is crisp and accessible as core Metal riffs are mixed effortlessly with modern synthesisers, rousing melodies and strong vocals. A spacious and sensitive production allows the songs to breath. Opener 'Nightfall' is typical as Andresen and Aardalen set about their task with remarkable efficiency. However, even within the parameters described there is impressive variety. 'Life And Death Under Strange New Suns', for example, offers a driving blend of Iron Maiden and Euro-Rock influences, while the equally fast-paced 'Change The World' is synth-driven and ultra-modern, further benefitting from the vocals of Marit Lovise Rode. Contrast both with the Folk-tinges of 'Broadside!' or the lush keyboard diversions and solo work on album closer 'Crown Of Starlight'. The exception, and musical centrepiece of the album, is the ambitious 'I'm The Last Of Us', which, weighing in at nearly thirteen minutes, is moody and at times cinematic, suggesting that Keldian may well have an audience beyond Symphonic Metal fans, Sci-Fi buffs and Europhiles. Tom Mathers, President of Perris Records, has described 'Darkness And Light' as "a masterpiece that will be enjoyed for many years to come". One has to smile. He would, wouldn't he? However, it is easy to appreciate the source of his enthusiasm.